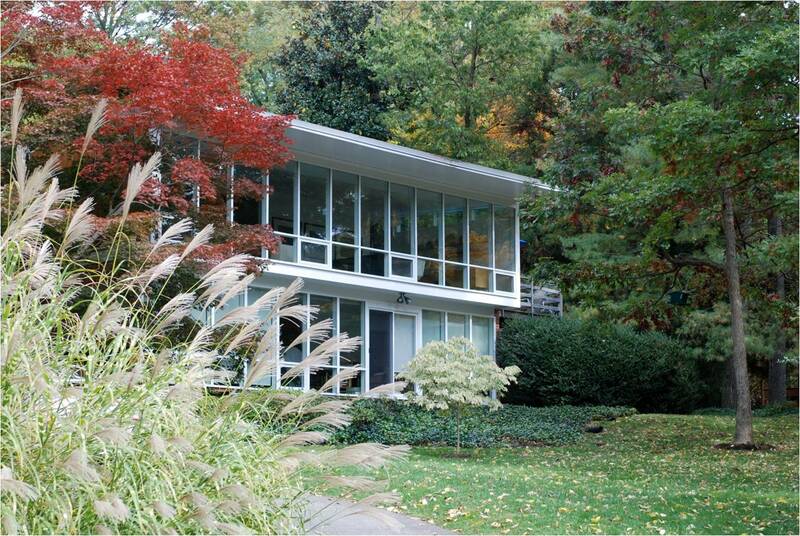 Located just south of Alexandria, the neighborhood was one of the first Modernist residential developments in the Washington, D.C. area. The community of 450 homes was built between 1949 and 1971 by developer Robert Davenport. 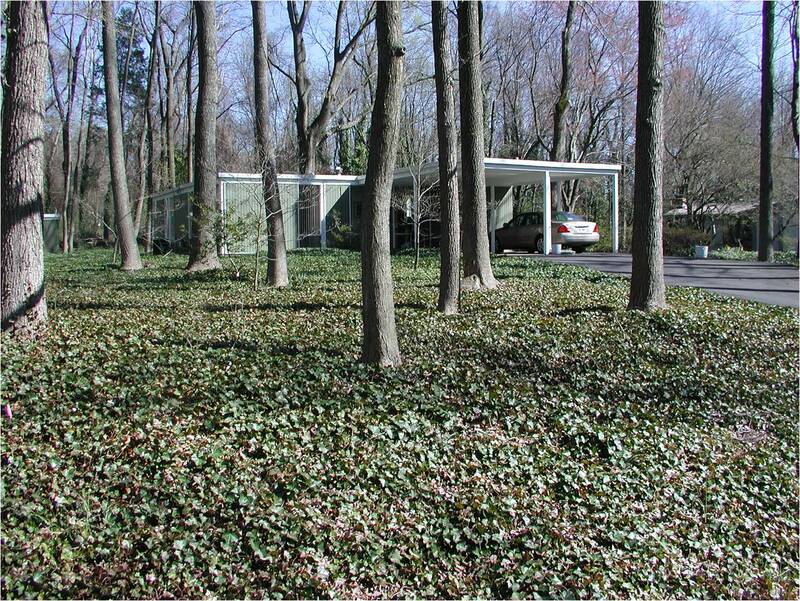 The majority of the houses and the street layout were designed by architect Charles Goodman, with landscape architect Lou Bernard Voigt. Davenport, who required home buyers to purchase landscape plans for their homes, worked with three landscape architects - Voigt, Dan Kiley, and Eric Paepcke - during the span of neighborhood development. Kiley alone produced almost 100, mostly unrealized, landscape plans between 1953 and 1955. 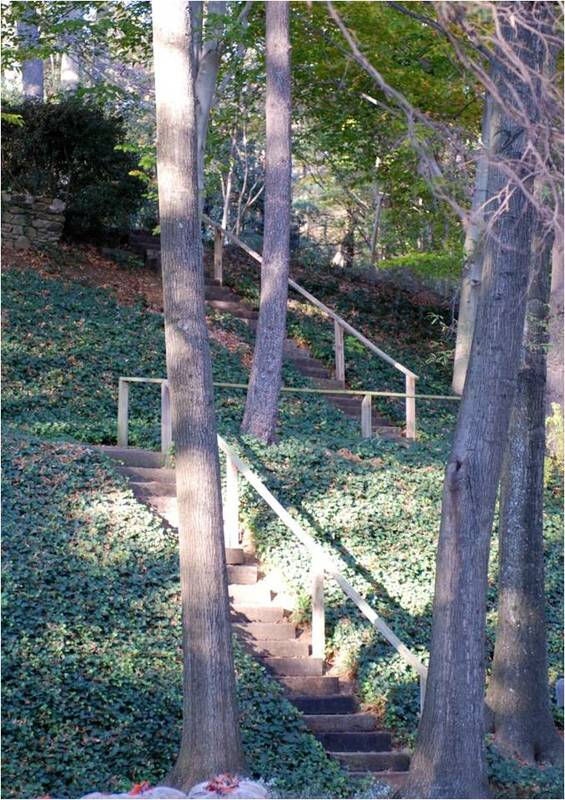 The designers of Hollin Hills used the existing terrain to inform their design. 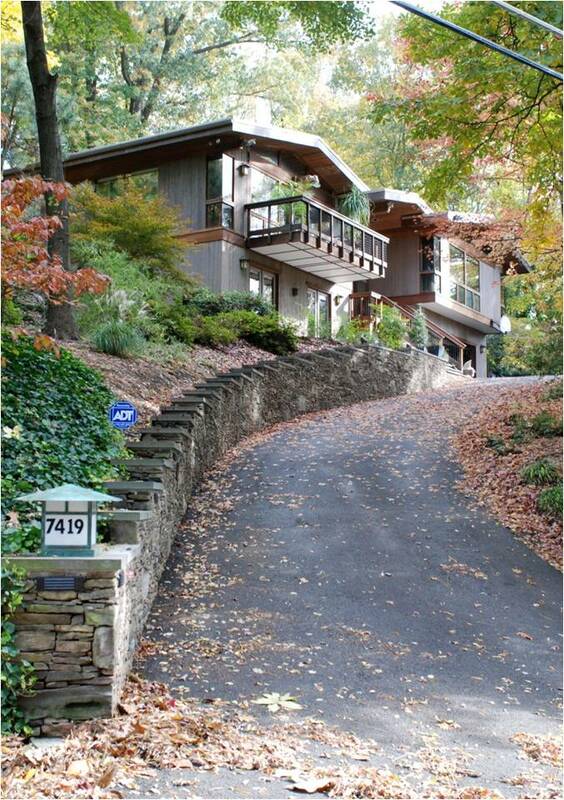 Multi-level houses accommodate the sometimes steep grade changes, and are sited to work around existing trees. 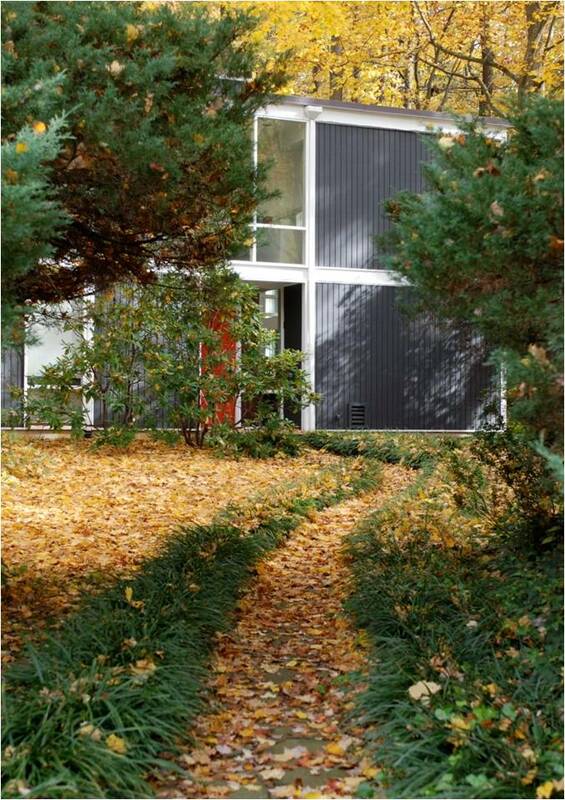 Lot lines follow the grade rather than being defined by the street, and houses are oriented at different angles to maximize privacy and viewsheds. 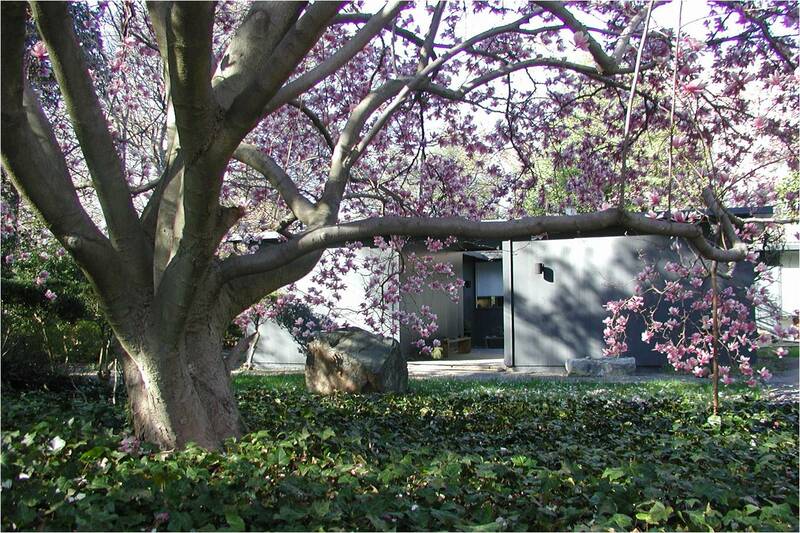 Traditional front and back yards are subordinated to the communal landscape, and fences are not permitted. The community was planned around parks, pedestrian paths, and school locations. 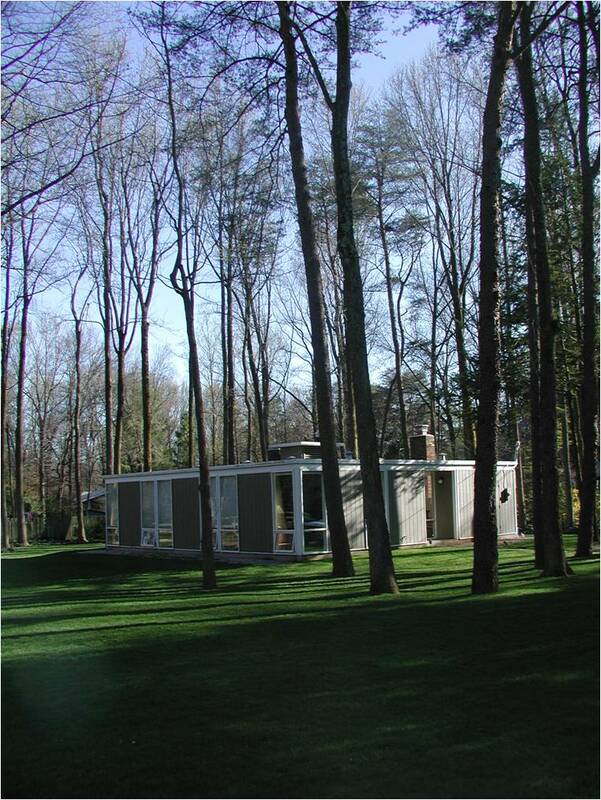 The shared aesthetic of Hollin Hills survives today in large part due to a strict covenant that requires a design committee to review any proposed additions or structures.